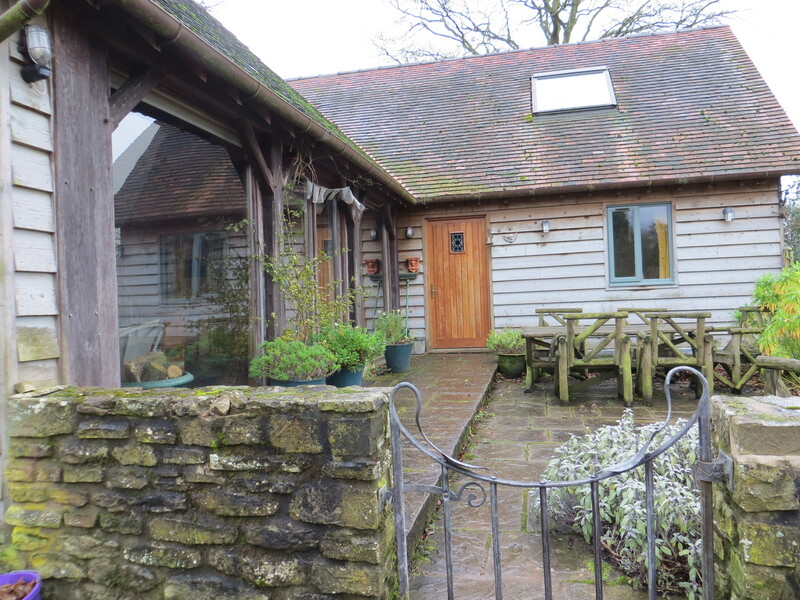 Oak Barn is a beautiful place to escape to and we spent our time there putting together lots of new material, working on arrangements of some of my new songs and some songs by other writers that we’ve had in mind for a long time. 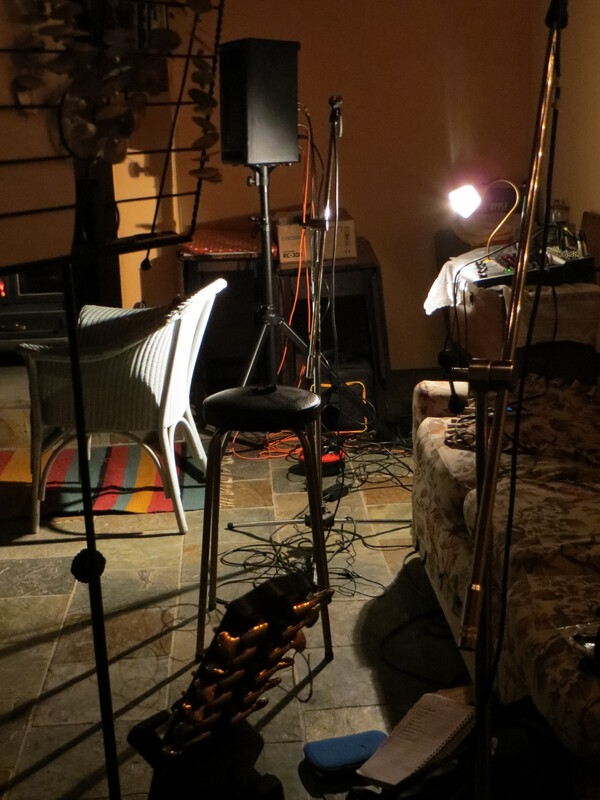 We love this creative process and were able to sing and play into the wee hours without disturbing anyone. 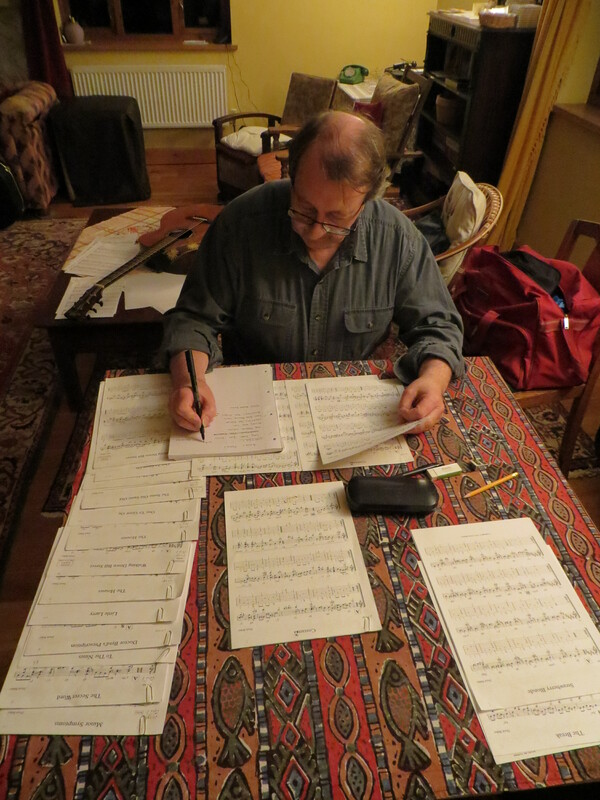 Steve spent some time working on selecting and arranging a number of original compositions by his friend Duck Baker for a project which is destined to be recorded in Italy. I took the opportunity to get to grips with my Boss RC 300 loop machine and it threw up a load of new directions and possibilities, ranging from traditional to totally ‘off the wall’ styles. What’s that saying .. “Sing like nobody’s listening” … I did … what fun I had ! As luck would have it, Steve had (virtually) finished my new 12 string tertz guitar and this proved quite inspirational too. 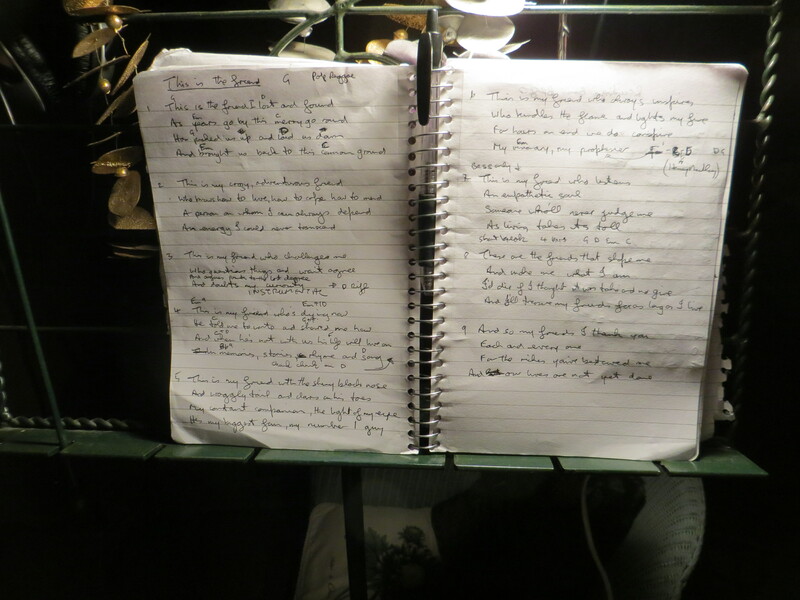 We have now performed some of the songs and tunes that we worked on during our stay and look forward to introducing more into our sets very soon. There’s also talk of a new CD which we plan to start recording in May …….. Thanks Polly for letting us use your fantastic facility – it was perfect and what we achieved in our few days there exceeded all our expectations. We will return. 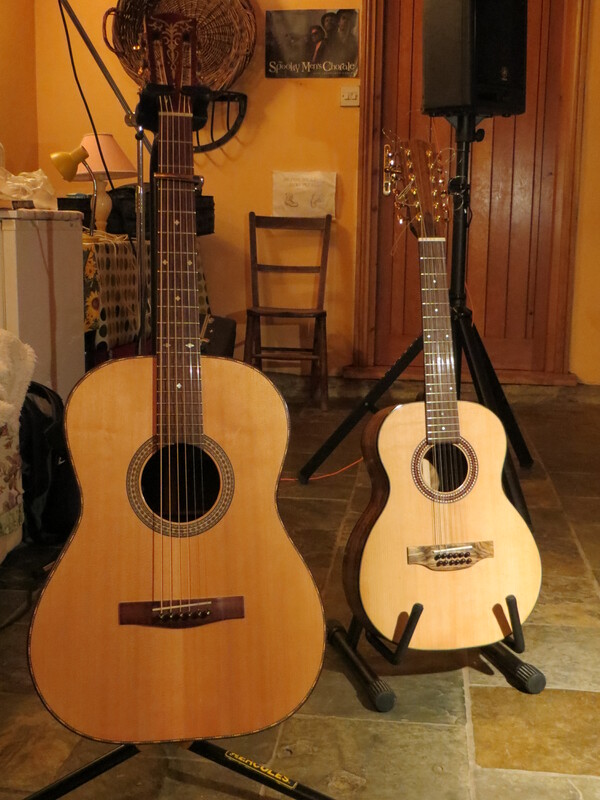 This entry was posted in Uncategorized and tagged 12 string tertz guitar, Boss RC300 Loop, Duck Baker, Oak Barn, Polly Bolton, Singing courses in Shropshire, Steve_Hicks_and_Lynn_Goulbourn by admin. Bookmark the permalink.